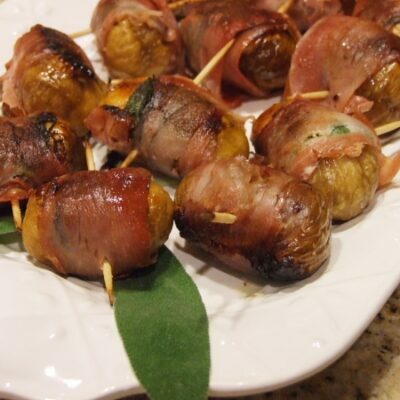 This is a terrific recipe that we found for our Gourmet Club's Autumn Dinner Party. 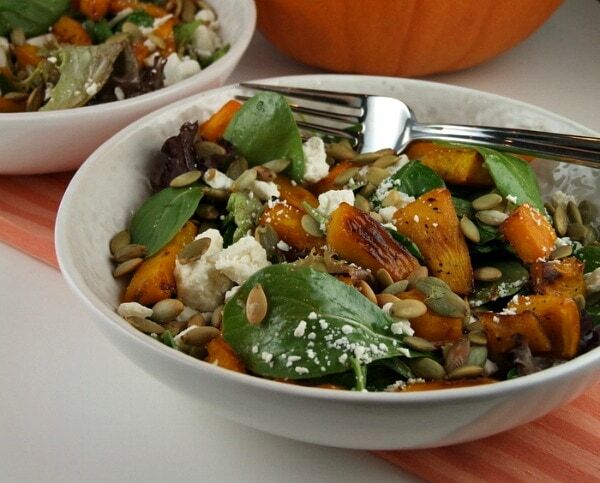 The pumpkin and seeds add a nice surprise flavor to the salad. 1. Preheat oven to 450°F. Spread pepitas on a large rimmed baking sheet; toast in oven, tossing occasionally, until fragrant and beginning to brown, 5 to 7 minutes. Set aside. 2. 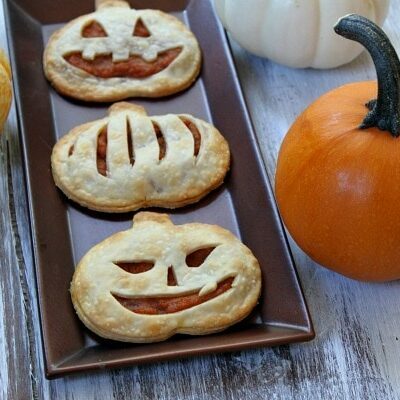 On a large, rimmed baking sheet, toss pumpkin with 2 Tablespoons oil, garlic, red pepper, salt and black pepper. Roast, tossing occasionally, until pumpkin is tender, 25 to 30 minutes. 3. Remove garlic cloves from sheet pan; set aside. Drizzle pumpkin with 2 Tablespoons maple syrup; toss to coat. Return to oven and continue roasting, tossing occasionally, until pumpkin is glazed, 5 to 10 minutes more; let cool. 4. Meanwhile, cut off root ends of garlic cloves; squeeze out garlic and mash to a paste with the side of a knife. Transfer to a large bowl. Add lime juice, mustard, and remaining maple syrup; season with salt and pepper. Whisking constantly, add remaining oil in a steady stream; set aside. 5. Add arugula and pumpkin and toss to combine. 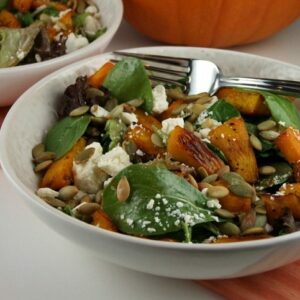 Serve salad sprinkled with toasted pepitas and crumbled feta cheese. *Bags of washed arugula can be found at Trader Joes. 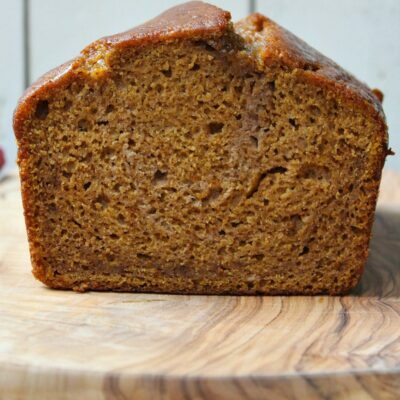 *If you are preparing this recipe as gluten-free, just be sure to use varieties of maple syrup and Dijon mustard that are known to be free of gluten. Oh, this sounds yummy! I love the flavor of roasted pumpkin. This is so creative and healthy! Pinning now to make soon! Thanks! I stumbled across this recipe and thought I would give it a go…. and boy am I glad I did! 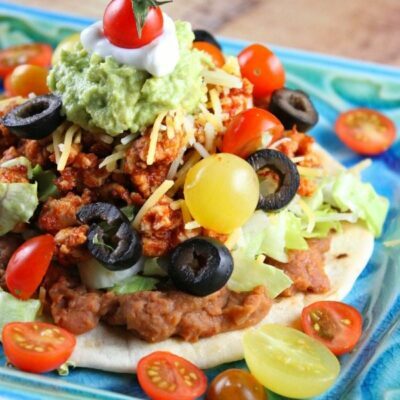 :o) very easy and delicious!